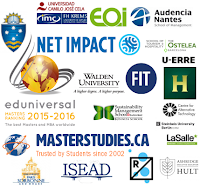 Sustainability is transforming our educational system from primary school to post doctorate work. The need for scholarly research and human resources is making sustainability the most prescient field of study in the world today. The reality of an increasingly resource constrained world, the need to minimize environmental impacts and growing consumer demand are driving interest in this new way of doing business. 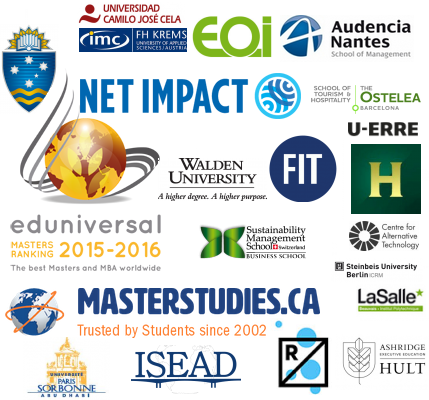 Here is a compilation of some of the best sustainability and environment focused masters degrees in the world according to Net Impact, Eduniversal and Masterstudies. Italy - Master per Il controllo e la gestione dei sistemi di qualità, ambiente e sicurezza Università di Roma 1 "La Sapienza"
FIT’s Master of Arts in Sustainable Interior Environments program prepares leaders who bring expertise in sustainability to residential, commercial, and institutional spaces.